While October 31 is usually associated with Halloween, it’s also celebrated by millions throughout the Americas as the start of the Day of the Dead (also known as Día de Muertos), which lasts until November 2. Traditions are a major part of Día de Muertos, with celebrants building private altars called ofrendas, in honor of the deceased, offering up flowers, calaveras (painted sugar skulls), foods, beverages, and other gifts. 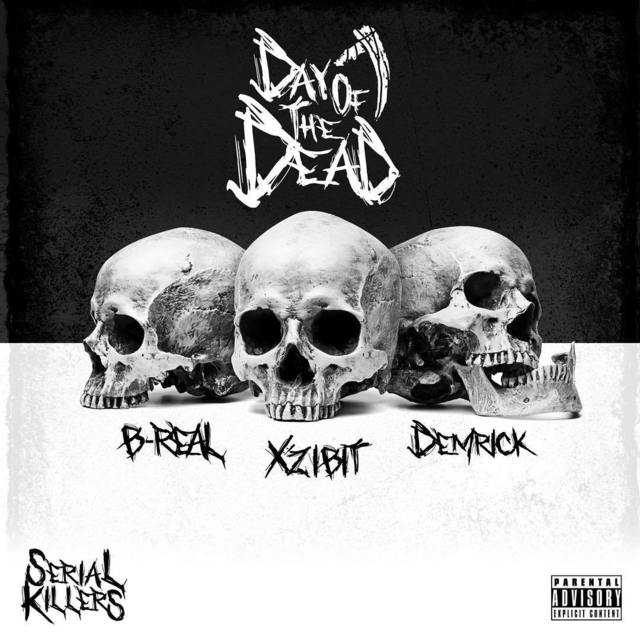 While we aren’t dead (yet), The Serial Killers (a group comprised of Xzibit, B-Real, and Demrick) offered us the perfect gift this Day of the Dead- an album of the same name that delivers one of the best Hip-Hop experiences of 2018. Contrary to popular belief, the Day of the Dead isn’t just about death (although paying homage to deceased family, friends, and relatives plays a large role), but it’s also largely about a spiritual journey, which is exactly what The Serial Killers deliver on Day of the Dead. The Serial Killers couldn’t have chosen a better day to release an album that is darker in nature than most of the artists’ prior work, but with the right amount of beauty that showcases their range and talent. The multi-ethnic group effortlessly combines party rock anthems with political messages, segueing from pina coladas to police brutality in “(W)e (A)re (R)eady.” The variety from track to track keeps listener attention in a way that is borderline mystical. Día de Muertos is about looking to the future as much as honoring the past. While The Serial Killers have all been in the game for a while, they take a break from the darker nature of the album, to introduce new artists Brevi and James Savage on “Fruit Punch.” Plus, it’s one of the few times that woodwind instruments have appeared on a Hip-Hop album. A major Day of the Dead theme is family and the skill demonstrated on Day of the Dead shows three artists at the top of their game playing off of each other perfectly, creating the newest Hip-Hop family we didn’t know we were missing. If Day of the Dead is any representation of The Serial Killers’ work to come, we can’t wait for the nest family reunion.